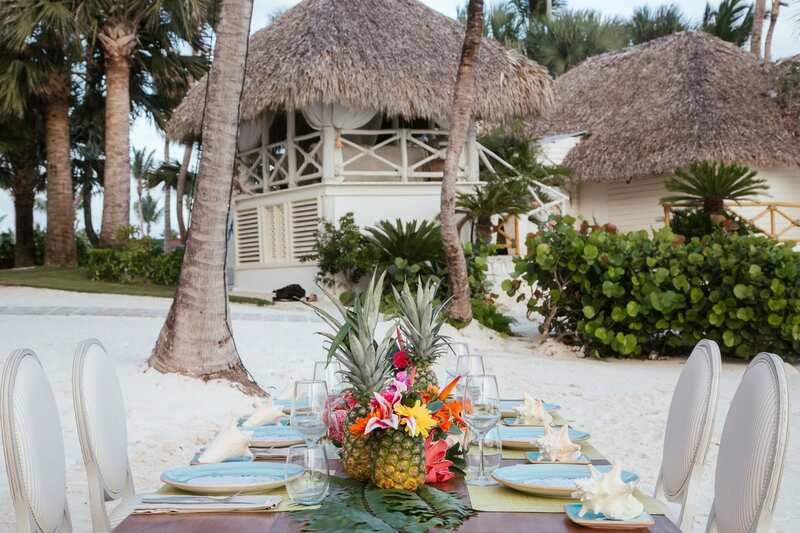 If you have an idea to celebrate the wedding in an intimate special atmosphere, Punta Cana would be the top in your list! This magic place in the Caribbean would hide you from the daily routine problems and would cover you with warmth and care. Its precious nature, the singularity in landscapes and white sand beaches would create a unique and unforgettable event. 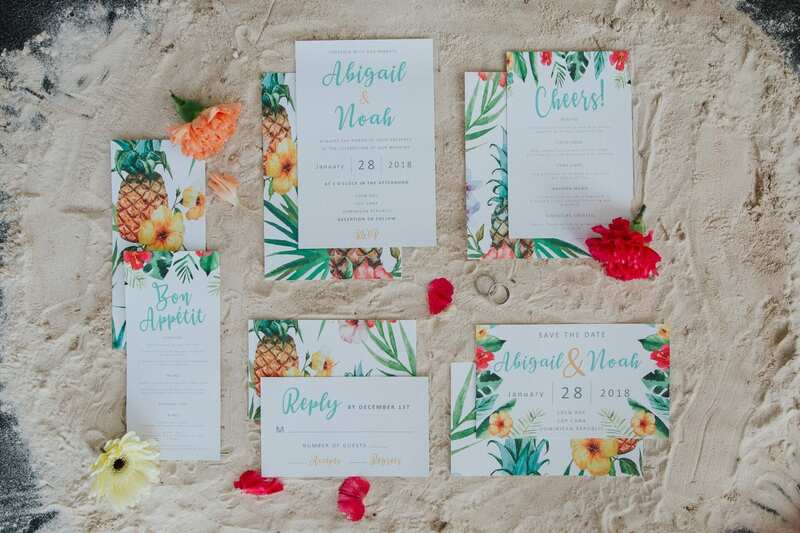 We designed this tropical inspired shooting with the intent to mix the elegance and romance with a pure relaxed tropical style. 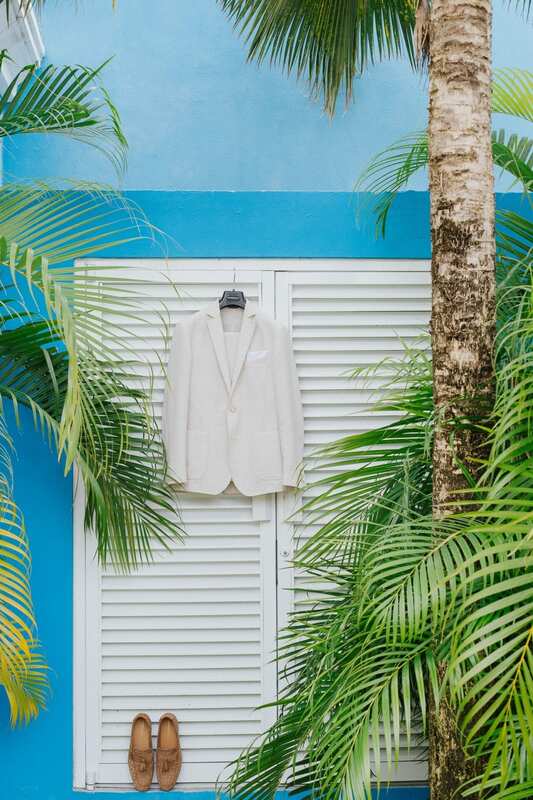 The color palette of Punta Cana would impress everyone. 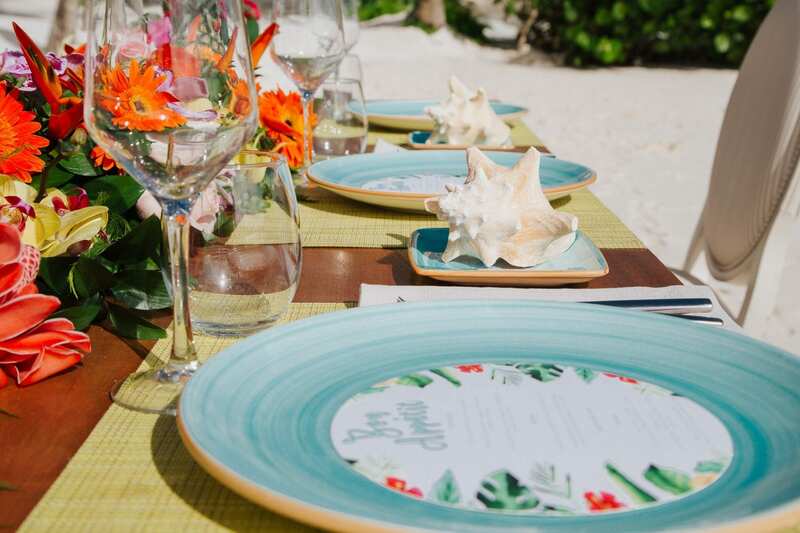 We chose a very bright palette and played with palm leaves and colors together with the white and sand color that we love. 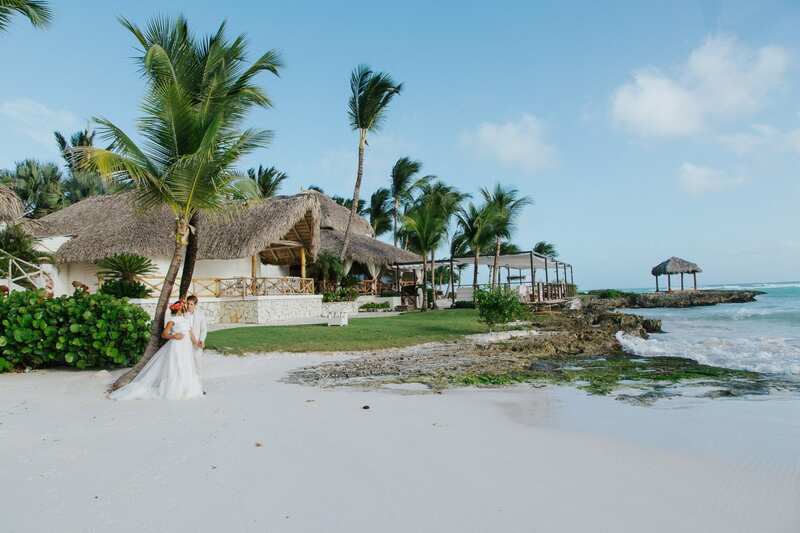 And everything has been possible thanks to a lovely couple and the amazing venue, the Eden Roc in Punta Cana. This place is paradise on earth! The perfect setting for a dreamy wedding. 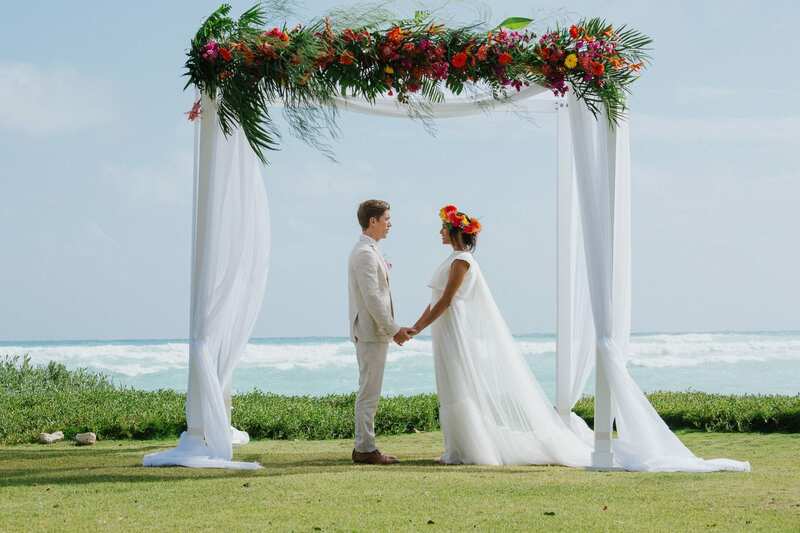 Thanks to the resort team we were able to set up the wedding ceremony on a private garden by the sea, with a romantic and simple gazebo, surrounded by palms. But the focus wanted to be on the fabulous private beach, cozy and intimate, where we set the dinner table and the couple pictures took by Sofia Balli and Elena Mannocci, from Italy. 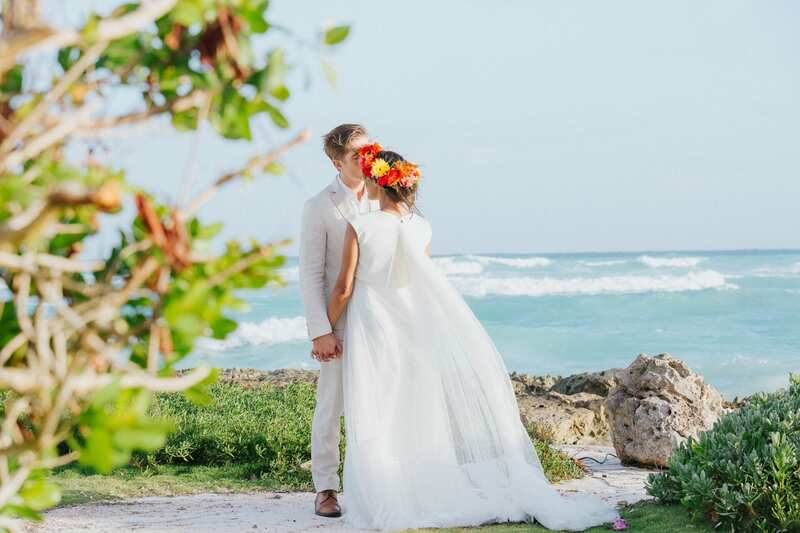 The weather was unfortunately not perfect, cloudy and windy, but that created a great effect as the bridal dress by Sophie et Voilà moved in the air...like a Caribbean fairytale! This is a place of happiness - the happiness of a couple, who chose this location to celebrate their unique love story. 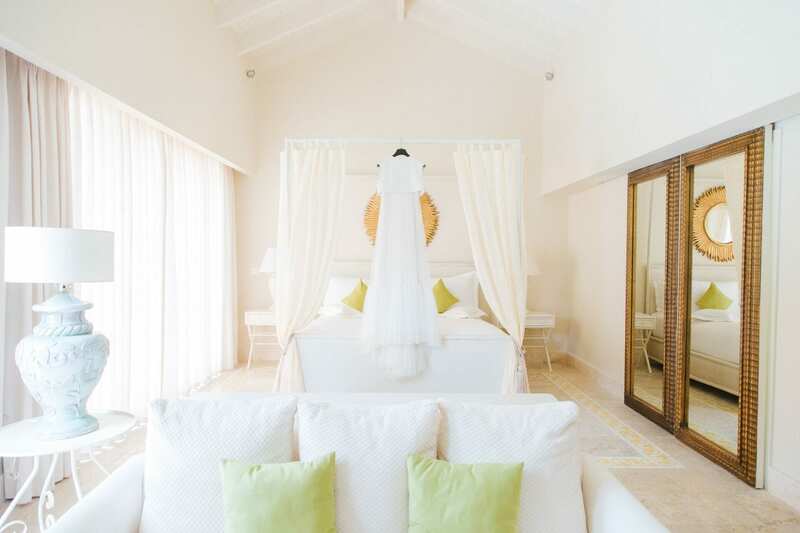 Are you thinking about getting married in the Caribbean? Contact us and we will organize your unforgettable big day together!